I solved the Advent of Code 2017 Day 1 puzzle with XQuery, an XML query language, and BaseX, an XML database engine and XQuery processor. 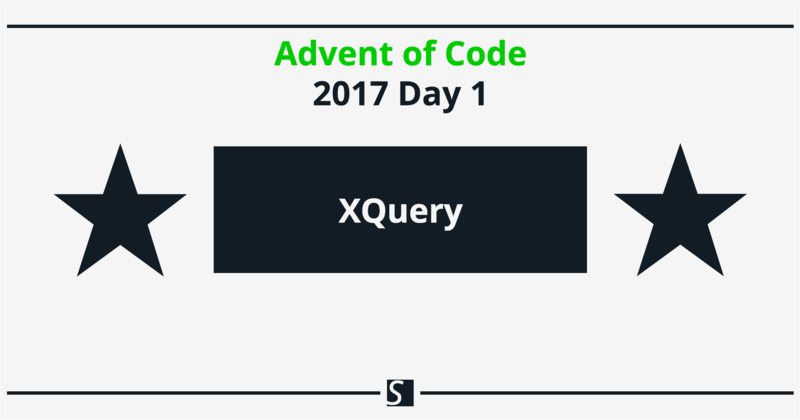 This post details my approach to solving both parts of Advent of Code 2017 Day 1 using a ‘circular list’, XQuery, and BaseX. 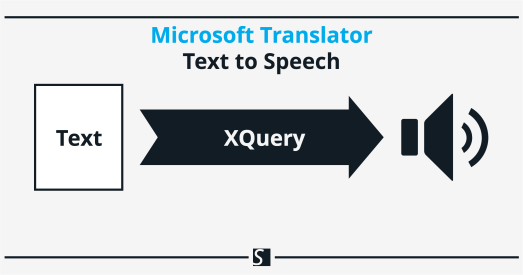 The Microsoft Cognitive Services Translator Text application programming interface (API) enables text to speech with XQuery, an XML query language, and BaseX, an XML database engine and XQuery processor. This tutorial covers text to speech using the Microsoft Cognitive Services Translator Text API with XQuery and BaseX. 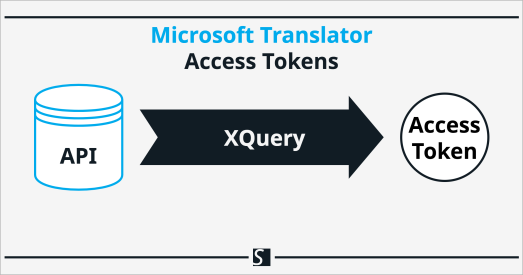 An access token is required to use the Microsoft Cognitive Services Translator application programming interface (API) with XQuery, an XML query language, and BaseX, an XML database engine and XQuery processor. This tutorial covers how to retrieve an access token from the Authentication Token API for Microsoft Cognitive Services Translator API with XQuery and BaseX. 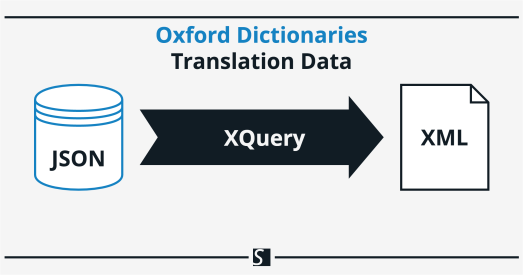 We retrieved translation data from the Oxford Dictionaries application programming interface (API) and returned Extensible Markup Language (XML) with XQuery, an XML query language, and BaseX, an XML database engine and XQuery processor. This tutorial illustrates how to retrieve translation data—words and example sentences—as XML from the Oxford Dictionaries API with XQuery and BaseX. We retrieved dictionary data from the Oxford Dictionaries application programming interface (API) and returned Extensible Markup Language (XML) with XQuery, an XML query language, and BaseX, an XML database engine and XQuery processor. This tutorial illustrates how to retrieve dictionary data—definitions, example sentences, and pronunciations—as XML from the Oxford Dictionaries API with XQuery and BaseX. We retrieved lemma data from the Oxford Dictionaries application programming interface (API) and returned Extensible Markup Language (XML) with XQuery, an XML query language, and BaseX, an XML database engine and XQuery processor. This tutorial illustrates how to retrieve lemma data—information related to items that can be looked up in the dictionary—as XML from the Oxford Dictionaries API with XQuery and BaseX. We retrieved thesaurus data from the Oxford Dictionaries application programming interface (API) and returned Extensible Markup Language (XML) with XQuery, an XML query language, and BaseX, an XML database engine and XQuery processor. 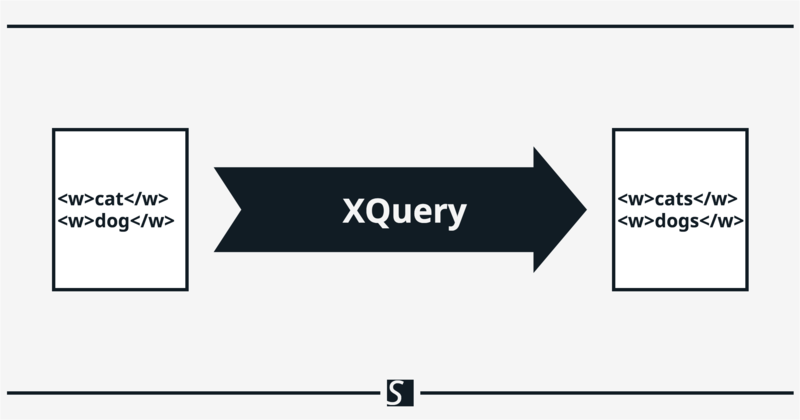 This tutorial illustrates how to retrieve thesaurus data—synonyms and antonyms—as XML from the Oxford Dictionaries API with XQuery and BaseX. We evaluated and manipulated text data (i.e., strings) within Extensible Markup Language (XML) using string functions in XQuery, an XML query language, and BaseX, an XML database engine and XQuery processor. This tutorial covers the basics of how to use XQuery string functions and manipulate text data with BaseX. We sorted data after converting it from Comma Separated Values (CSV) to Extensible Markup Language (XML) with XQuery, an XML query language, and BaseX, an XML database engine and XQuery processor. This guide covers the basics of how to convert data from CSV to XML and sort the result with XQuery and BaseX.